Who is putting poison in the bakery pies? Who will die next? Read “Murder Freshly Baked” by Vannetta Chapman! — Tweet this! If you read and enjoyed Murder Simply Brewed and Murder Tightly Knit, you’re really going to love Murder Freshly Baked! Don’t miss this AMAZING mystery! 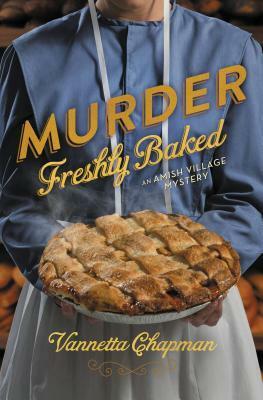 “Murder Freshly Baked” by Vannetta Chapman! – Tweet this! 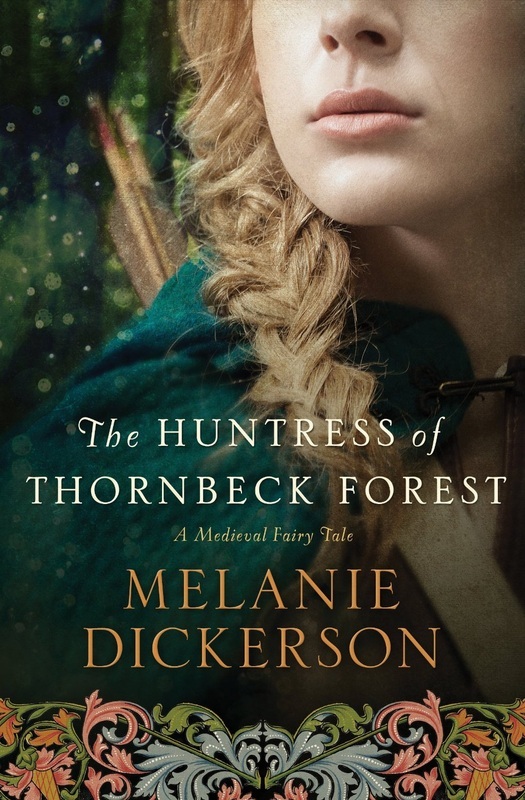 MELANIE DICKERSON has several exciting books COMING SOON! The next book in her series about the people of Hagenheim we have come to know and love: The Golden Braid is set to release November 2015! Her first regency romance is set to release February of 2016! And the Next story in Thornbeck is scheduled for a Spring 2016 release! The Huntress of Thornbeck Forest introduces us to the people of Thornbeck. It releases May 12th! Robin Hood collides with The Swan Princess in The Huntress of Thornbeck Forest! Coming May 2015! – CLICK TO TWEET! Can a servant pass herself off as a Princess in “The Beautiful Pretender” – Coming Spring 2016! 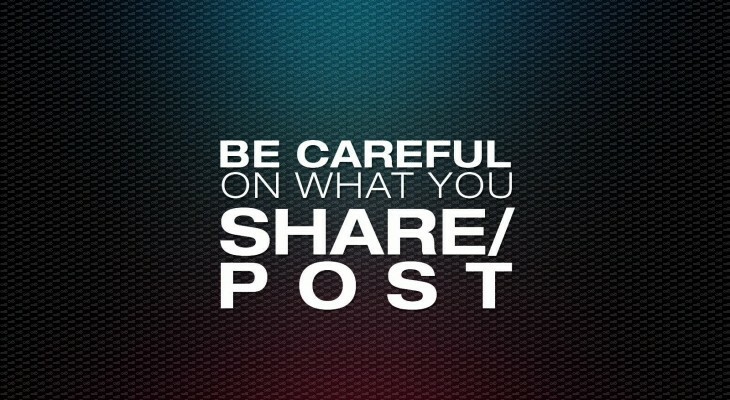 – CLICK TO TWEET! The next book scheduled to release from Thomas Nelson is The Golden Braid – which takes us back to Hagenheim for a Rapunzel retelling! A Rapunzel story – with several twists… Coming November 2015! – CLICK TO TWEET! All we know about Melanie’s first Regency romance is that it is tentatively titled A Spy’s Devotion, and is set to release in February of 2016. 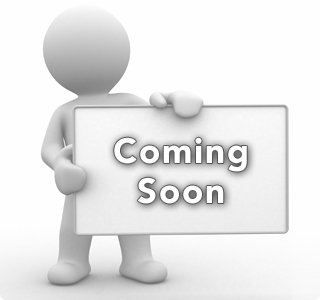 Melanie Dickerson is currently working on her first Regency romance – COMING February 2016! – CLICK TO TWEET! I know I’m not the only one who can’t wait to read and review Melanie’s new releases! And don’t forget to click below to find out how you can enter Melanie’s GIVEAWAY contest! Melanie Dickerson Marathon | Giveaway! Midnight on the Mississippi begins the new Secrets of the South Mysteries from bestselling author Mary Ellis. These complex crime dramas follow an investigator’s quest to make the world a better place… solving one case at a time. New Orleans—Hunter Galen, a stock and securities broker, suspects his business partner, James Nowak, may be involved in embezzling their clients’ money, but he’s reluctant to jeopardize their friendship based on suspicion alone. After James turns up dead, Hunter realizes his unwillingness to confront a problem may have cost James his life. Nicki Price, a newly minted PI, intends to solve the stockbroker’s murder, recover the missing millions from the client accounts, and establish herself in the career she adores. As she ferrets out fraud and deception at Galen Investments, Hunter’s fiancée, Ashley Menard, rubs Nicki the wrong way. Nicki doesn’t trust the ostentatious woman with an agenda longer than the Mississippi River. Ashley seems to be hiding something, but is Nicki’s growing attraction to Hunter—a suspected murderer—her true reason for disliking Ashley? As they encounter sophisticated shell games, blackmail, and murder, Nicki and Hunter’s only option is to turn to God as they search for answers, elude lethal danger, and perhaps discover love along the way. Blackmail… Embezzling… Murder… Don’t miss this NEW Southern Mystery series from Mary Ellis! Coming August 2015. – CLICK TO TWEET! What Happened on Beale Street continues the new Secrets of the South Mysteries from bestselling author Mary Ellis. These complex crime dramas follow an investigator’s quest to make the world a better place… solving one case at a time. WORDS – CLICK TO TWEET! I know I can’t wait to read and review each new story Mary releases! And don’t forget to click below to find out how you can enter Mary’s GIVEAWAY contest! Mary Ellis Marathon | Giveaway! NEVER… that’s when you should see it… never. Don’t see the movie… and don’t read the books. There is a massive facebook/twitter campaign going on right now against the heinous 50 shades… movie and books. Please stand with me as I spread the word to my family, friends and readers. Please do everything possible to protect others from the damaging and devastating effects of this series! I have not – and I will not – read the books – or watch the movie! I know that there are times that Christian leaders feel the need to read or watch what they are begging their followers to oppose – so that they have all the information they need to present a case. But in my opinion, that is a very bad idea! Exposing your mind to ANYTHING of this nature is inviting the devil to create a foothold in your very soul – which he will then use to push more sin into your life. We need to send a strong message to the makers of the movie. They NEED TO KNOW we are serious! They NEED TO KNOW that they will not tear down strong women… men… families… marriages! They NEED TO KNOW that we will not lay down and let them roll right over us! We NEED to stand up for our daughters, our sisters, our mothers, and our friends! Stand with us – Make Valentine’s Day a day of TRUE romance! – CLICK TO TWEET! Remember the true meaning of Valentine’s Day this year – Say no to 50 Shades! – CLICK TO TWEET! Thank you, Rachel Miller, for sharing your blogpost and pictures. I appreciate your support and I hope my readers do, too. Always use your own thoughts… and your own words… whenever you can. 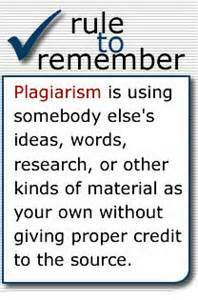 If you want to cite work from another source, please be careful to give proper credit to the source if you use somebody else’s work (see below). Where Healing Starts focuses on Joanna and Blake. Blake must choose between what has always been safe and what he has always wanted, but never found. One mistake after another leads him down a dangerous path. Don’t miss Where Healing Starts – book 2 in Angela D Meyer’s Life at Applewood Hill series. – CLICK TO TWEET! Book 3 is still in the editing stages — even though I am unable to give you more information, I wanted to include it, since it is part of the series… be sure to watch Angela’s website or subscribe to her newsletter to read more about this sequel. If you’d like to know more, I invite you to check out the Life at Applewood Hill blog site. Karen has just begun blogging about her wonderful bed and breakfast — she would love for people to stop by and check it out! I would like to encourage you to sign up for Angela’s NEWSLETTER for book updates, author news and between-the-books short stories – as she continues to give us insights into her characters and their journeys! I know I can’t wait to read and review each new story Angela releases! Angela D Meyer Marathon | Giveaway! Lieutenant Maggie Johnson has overcome many obstacles in her life, including her parents’ disapproval of her enlistment in the Army Nurse Corps and the sudden death of her GI boyfriend, Danny Russo. A sudden blow that forced her to leave behind a promise once made. But Germany introduces more hurdles that hinder her life. Like Army nurse lieutenant, Peggy Blizzard — a woman as cold as her name. While trying to avoid a war breaking out within her own barracks, Maggie pushes through Germany’s harsh winter, and Peggy’s cold shoulder, and aims to do her job — saving lives. But when tragedy strikes the field hospital, it’s Maggie’s life that needs saving instead. Maggie’s Mission – a wonderful sequel you won’t want to miss! – Tweet this! The war is over for Corporal Phillip Johnson, and no one could be happier than his wife, Libby. But after the homecoming festivities have calmed, Libby senses something is wrong. Questioning Phillip only angers him and thrusts him deeper into his melancholy. She takes extra strides to accommodate this unfamiliar side of her husband, but when his despair turns volatile she needs an escape. Will Libby and Phillip find healing and restoration of their marriage or will their love sink in the midst of Phillip’s inward war? Watch for news about book 3 – Phillip’s War! – Tweet this! I’m told Rachel has several more projects in mind but nothing she can share yet. Keep watching though… She is bound to let us in on more soon! I can’t wait to read and review each new release! Rachel Muller Marathon | Giveaway!